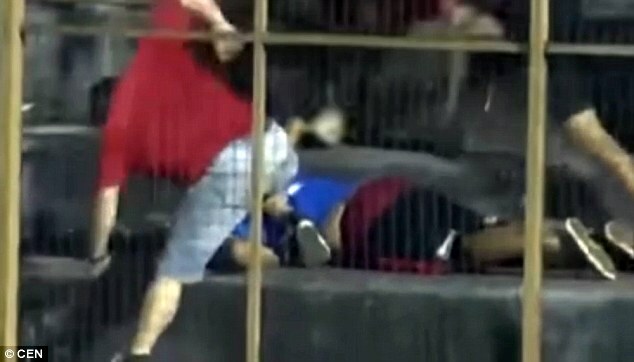 Football hooligans have been caught on camera staging a violent mass brawl in a stadium during a match. 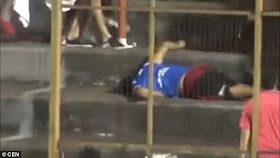 Several were injured and two fans had to be rushed to hospital as tempers escalated between groups of Guarani Antonio Franco and Sportivo Patria supporters. 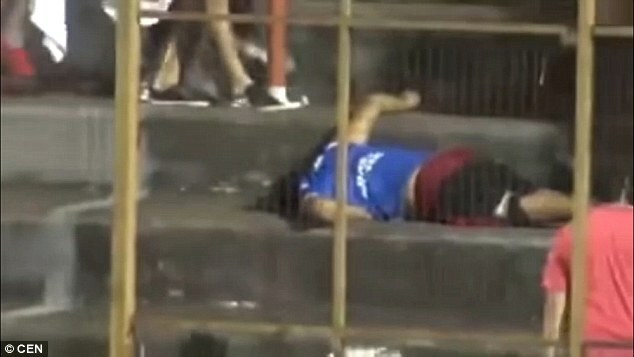 Footage, now going viral online, shows the moment a fan was brutally beaten unconscious in Guarani’s Clemente Fernandez de Oliveira Stadium. 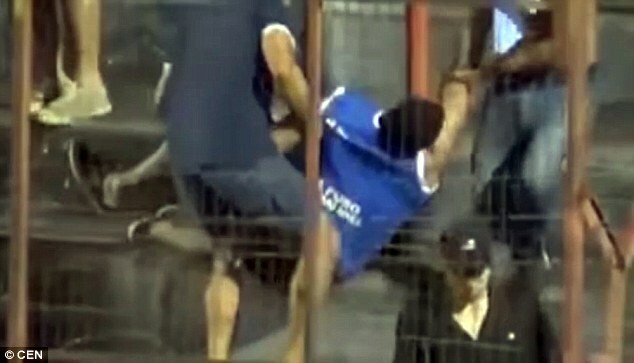 According to local media, the lower-league home team - based in the city of Posadas, in the north-eastern Argentine province of Misiones - were fighting for promotion into the second division. 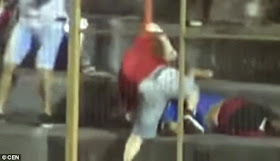 The atmosphere was tense and things started to heat up as soon as the away side scored in the fourth minute, reports said. 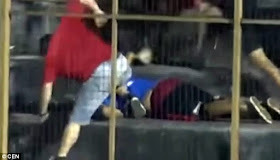 According to local reports, two fans identified as brothers Maximiliano, 21, and Nestor Veron, 37, were seriously injured. Stadium security reportedly intervened in the minutes that followed and the match ended in a 1-1 draw.